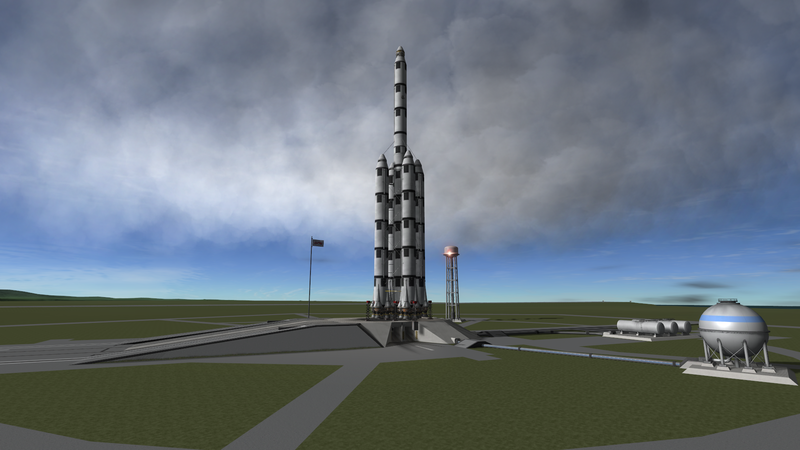 A stock rocket called 300t_Lifter. Built with 282 of the finest parts, its root part is dockingPortLarge. There is a little error the decupler is not seperating the payload like it should.